Have you cleared your cookies lately? No – this isn’t a New Year’s resolution post about getting rid of those extra Christmas cookies. It’s a reminder to clear the cookies stored in each of the browsers you use on your computer. Cookies are small files written onto your computer’s hard drive when you open most websites on most browsers. The cookie doesn’t have personal information about you, but it records your IP address, the date and time, and the website page you accessed. 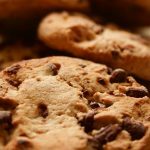 Cookies are not all bad – they improve your online experience by doing things like keeping items in a website’s shopping cart and remembering where you were the last time when you were in a website so you don’t have to navigate there again. Over time, however, a clever company can compile all of the information from all your cookies and make a good guess about you – for example, a 52-year-old male who enjoys outdoor activities like fishing and hunting, has teenage children, and uses Netflix. The simplest step you can take to limit how well companies can track your online behavior is to clear the cookies on your computer on a regular basis. If you want more information, make an appointment with one of our information service librarians, call us at (970) 243-4442 or email us a question. Start the new year with a clean computer and make a New Year’s resolution to clear cookies regularly – at least once a month. Okay, so this is a New Year’s resolution post.